LOL! Landlord "tripe". Awesome Freudian slip. Well iOS has a good sense of humour. Given your experience in the industry, what's your take on the future of the CIBC tower? I mean it's reaching the end of its life as far as being a prime location for the sorts of businesses that want to be in centralized office towers. With Colliers jumping ship that'll leave quite a bit dent in an already (relatively) poorly leased building. I don't think the building is coming to the end of its lifespan. I think there is an opportunity to re-invigorate the building and attract tenancies at a later date. The location is prime and it has something no other office development has, a standing structure already. Retrofits of medium and large office buildings are happening all over the place right now. IF/When CIBC were to put it up on the market a value focused investor/developer would likely pick it up for a very good price, put some money into it and lease it out. I can't see it being converted to Residential. A. the City won't approve that and B. it just doesn't make sense from a market perspective to me. I don't suspect CIBC is in a huge hurry to unload it either. That building has high security in it and serves as the clearing house for ALL banks on Vancouver Island prior to cheques/money etc being shipped out. 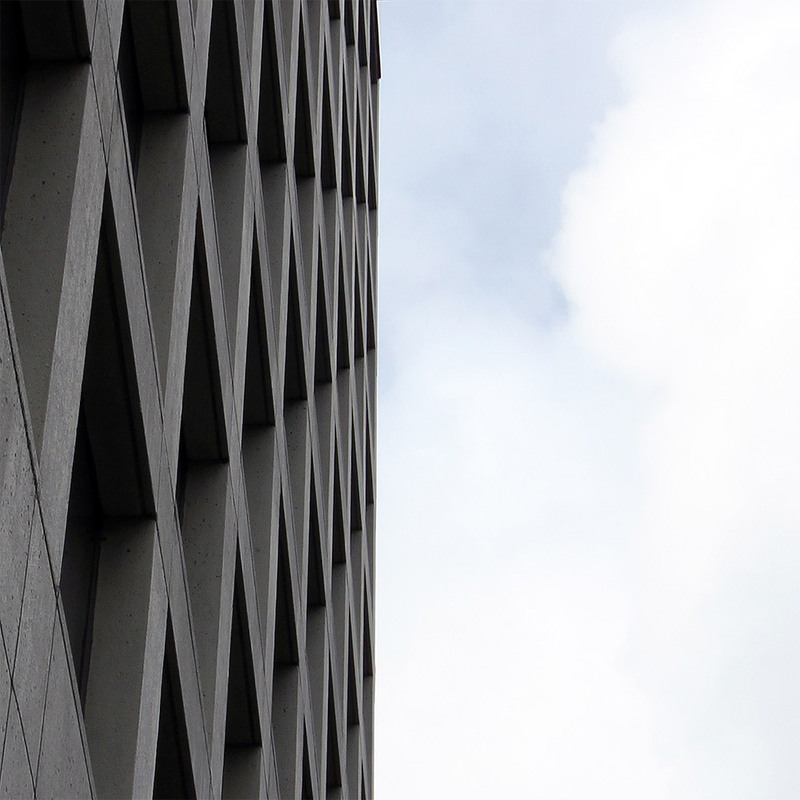 An different twist on the brutalist CIBC. 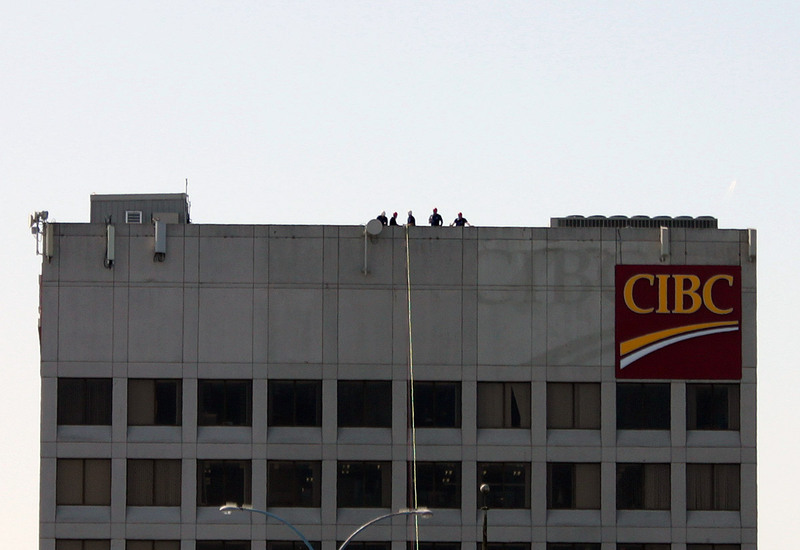 Workers atop the CIBC tower on May 12, 2015. This building appears to have at least three floors that are completely vacant. Yes, it's losing tenants pretty quickly. 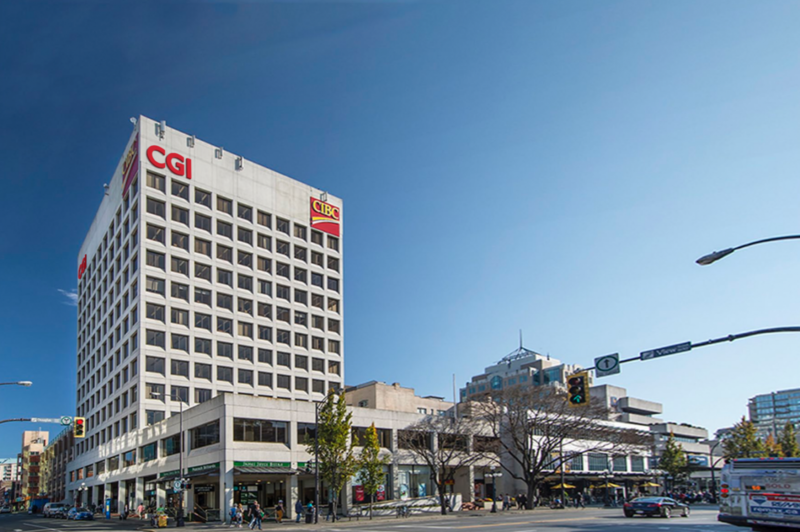 Colliers could vacate an entire floor if they move to 1515 Douglas. It should probably undergo some renos to attract new tenants. Or drop their rates, change their leasing model to create some cheaper office space for smaller businesses and/or startups. Not everyone can afford new Class A, or exposed brick in old town. Does this building have a parking garage? View Street parkade is right next door. Be interesting to see where new startups are, well, starting in Victoria. My guess would be mostly downtown, but I haven't seen any research done on the matter. An artist's rendering depicting the 12-storey CIBC Tower on View Street at Douglas Street with the addition of a corporate logo for Montréal-based CGI Group. Cool, someone CGI'd the CGI logo on the CIBC building. Edited by Bob Fugger, 04 February 2019 - 05:11 PM. Has anyone else heard the rumour that T.G.I. Friday's might be going into this building? They might as well be called the Ministry of CGI.